Good quality BLUE pvc insulation tape. This electrical tape is 19mm x 20m (approximately). Backing: plasticized PVC, adhesive: rubber based. 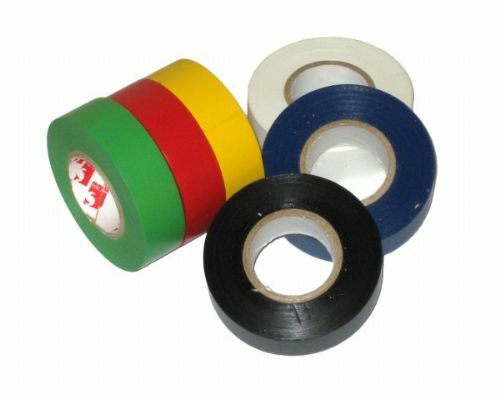 Perfect for, colour coding awning poles, taping cables, securing brackets, factories and warehouse use. Flame retardant BS3924.